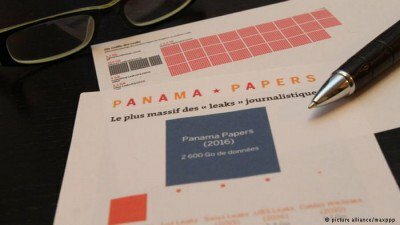 USAID partially funds the Organized Crime and Corruption Reporting Project, one of the core journalism organizations involved in reporting the Panama Papers. In the wake of damning claims by WikiLeaks that the United States government was behind the Panama Papers as part of a ploy to smear Russian President Vladimir Putin, a U.S. State Department spokesperson has confirmed that the government funds one of the organizations involved in reporting the leak and that supporting initiatives that root out corruption around the world is part of U.S. foreign policy. Responding to a question about WikiLeaks allegations, State Department spokesperson Mark Toner said Thursday that the Organized Crime and Corruption Reporting Project, one of the core journalism organizations that reported the Panama Papers, has “received support from various donors, including the U.S. government,” specifically USAID. OCCRP clearly list USAID as one of its donors on its website. Other funders include the Swiss Romanian Contribution Programme and the Open Society Institute, founded by U.S. business mogul George Soros. Toner continued by saying that USAID “has and continues to fund” organizations like OCCRP to conduct “independent, investigative journalism” to uncover corruption, which figures into U.S. foreign policy. Top Key Points About the Panama Papers “It’s a core tenet of our foreign policy that we support organizations that go after corruption,” he said. The spokesperson also rejected the claim that the U.S. government is “in any way involved in the actual leak” of the Panama Papers documents. The State Department refused to state whether the Panama Papers constitute data theft or not, saying that it would be up to Panamanian law to rule on the matter. The statements marked a stark contrast to the U.S. government outrage over the WikiLeaks and Snowden documents leaks, immediately deemed theft and worthy of prosecution. In what is being described as the largest leak in the history of data journalism, the Panama Papers are a set of over 11.5 million documents dated back to the late 1970s that reveal how the Panama-based law firm Mossack Fonseca helped world leaders, wealthy elites, and celebrities hide assets in shell companies and offshore tax havens.